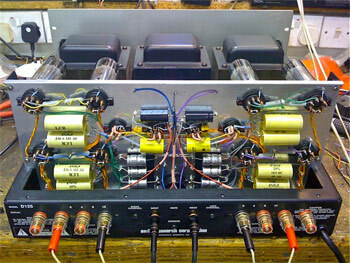 This amplifier is based on an American Audio Research D125. The client wanted it to sound as good as the EVA Proteus. So we completely redesigned it using just the main chassis and transformers. © 2008 Servicesound. All rights reserved.